If you are an independent contractor, you are considered a business in the eyes of the law. And as a business, you have to do business bookkeeping and taxes. While that may sound overwhelming, the right app can help you handle all of your accounting needs. From free online and mobile options to more expensive desktop platforms, there are many different kinds of accounting apps to choose from. So how do you know where to start? First, consider the kinds of features you need. Do you pay yourself a biweekly paycheck, or submit your own quarterly taxes to the government? Do you have any business assets or inventory to track? Are invoicing and payments a necessity? There are comprehensive programs that can tackle most or all of these needs, but they may be a bit more expensive. It's good to note that the cost of these apps can vary — some have monthly fees, others have a one-time fee, and we've also included one in this list that is free to use. Another thing to consider is your accounting app's integration capabilities. Some integrate with a wide range of tools to track expenses, hours, miles, receipts, and other metrics for your business. If you rely on any specific tools or CRMs, make sure they integrate with the app you choose. We've also included accounting apps on a variety of platforms, for mobile devices and desktop computers alike, so you'll want to think about where and how you'll need to access your bookkeeping information. With those things in mind, read on for our list of the best accounting apps for independent contractors. 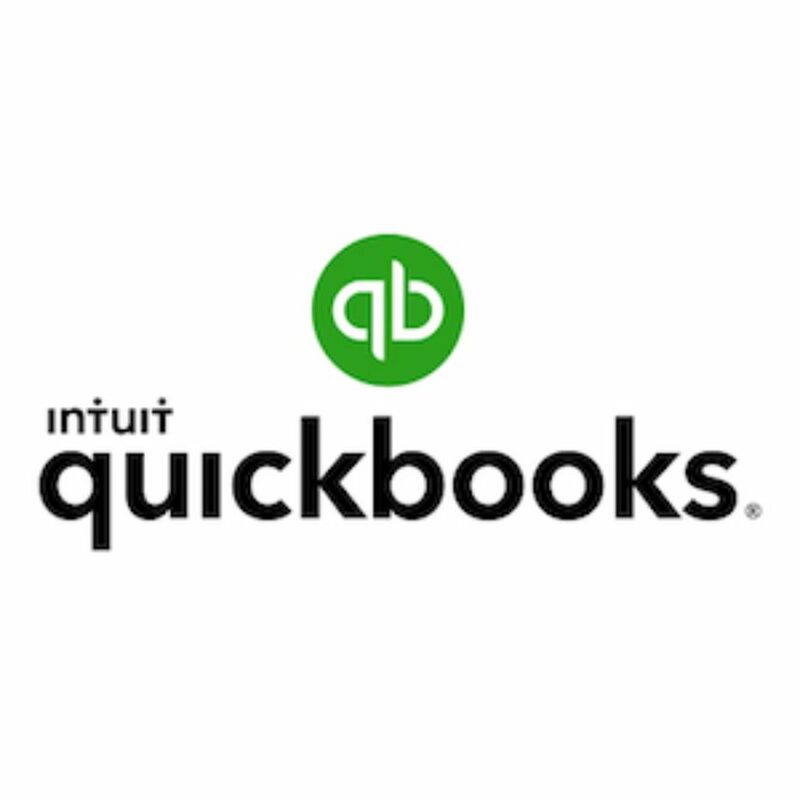 Intuit’s Quickbooks is the best-known accounting app for good reason. While it's not perfect, it is the best accounting program on the market today and sets a high bar for what business money management apps can do. Quickbooks is great for a wide range of businesses from solo freelancers to brick-and-mortar empires. This program is the standard for small business accounting, and it offers much more than an independent contractor probably needs. But, that said, it also includes everything an independent contractor may ever need. That includes live bank connections, double entry accounting, invoicing, payment processing, and mobile apps. Quickbooks has versions for both Windows and Mac, as well as an online version (which is best for independent contractors). There is both a self-employed version and full version that should both sufficiently handle your business needs. Quickbooks Self-Employed costs $5 per month. The $10 per month Simple Start version should be plenty for most independent contractors. Xero is a top competitor to Quickbooks and offers a wide range of features starting at $9 per month for the Starter version, going up to $60 per month for the premium version. The Starter version should be sufficient for most freelancers, through any payroll needs require the $30 Standard version. All Xero plans include financial reports, mobile apps, more than 700 integrations, live bank account connections, invoicing, and access for multiple team members. Xero customers also get free access to the Xero Projects app, which is an accounting project management app, for no extra charge at this time. This is perfect for hourly and project-based billing. You will still need an external tax app or accountant, but all of your bookkeeping needs are covered. Billing and expense forms, double-entry accounting, inventory tracking, document management, and CRM integrations are just a few features that make Xero worth serious consideration for any independent contractor. Wave Accounting is a free accounting app that works both online and on your smartphone. While there are charges for some extra features like payment processing and payroll, the free starting price point makes it a winner for many independent contractors. The free version is pretty impressive, even compared to some paid accounting apps. It includes invoicing, live bank connections, income and expense tracking, and collaborators. It even has the ability to track multiple businesses (like a "side hustle" or two) and personal finances in the same account. Paid add-on services include online ACH and credit card processing and payroll. But these cost more than some competitors, so if you process a lot of payments you may end up paying more with Wave’s “free” accounting than you would with a paid app. If you are a freelancer and want simple accounting with a focus on your needs, Freshbooks is a leading choice. This app is ideal for the self-employed and starts at $15 per month after a 30-day trial. If you have more than five clients, you’ll need the Plus version at $25 per month. Save 10% by paying annually instead of monthly. Additional team members cost $10 per month each. Features include invoicing, expenses, time tracking, projects, estimates, payments, reporting, and a mobile app. It is one of the easiest accounting systems to use. While some other advanced programs feel like they require an accounting degree to navigate, Freshbooks keeps it simple. Zoho offers a suite of email, CRM, a custom app engine, and an accounting package. The accounting side, Zoho Books, starts at $9 per month for the basic version, or $90 per year, which should be plenty for most independent contractors. Zoho Books includes accounting needs like bank reconciliations, invoicing, expense tracking, timesheets, projects, recurring transactions, and sales approvals. Bill management requires upgrading to the Standard version at $19 per month or $190 per year. Zoho Books does quite a bit, but does not scale up for larger businesses like some of the more popular accounting packages. It should work fine for independent contractors and side hustlers alike. Bench is an accountant and an accounting app in one. If your business runs with less than $7,500 in monthly expenses, it costs $135 per month (or $115 per month billed annually). While it costs more than most others on this list, it includes one big feature the others don’t: a human accountant. Included in the monthly fee is a team of bookkeepers to monitor your connected financial accounts and keep the books up to date. Whenever you want, you can log in and view statements and reports that you need to run your business. You’ll get monthly financial reports and can rest easy knowing the books are taken care of. Bench doesn’t include accounting, but it does provide the reports and support you need for your accountant to take care of things come tax day. If you work with one client every month and send the same fixed-rate invoice, you shouldn’t have to worry about spending hours and hours on bookkeeping tasks — or repeating the same invoice process, again and again, every month. With GoDaddy Bookkeeping (formerly "Outright") that recurring process is automatic. GoDaddy Bookkeeping is one of the best accounting apps for e-commerce sellers, but it offers plenty of features to cover independent contractors as well. It includes both web and mobile access and starts at a very low $3.99 per month for a basic version that includes invoices, estimates, payments, mileage, and time tracking. If you want more than current-year business reports, however, you’ll need the essentials or premium versions that run $7.99 per month and $11.99 per month respectively. inDinero is a full-service accounting software with accounting and tax preparation service in one. Like Bench, there is a human element to the service that begins at $310 per month (billed annually). That level of service includes up to 50 monthly transactions, annual state and Federal taxes, financial statements, invoicing, and bill payments for two connected bank accounts. This is the one-stop-shop for accounting and tax in one place. Even Quickbooks requires you to use TurboTax for an extra fee if you want your taxes done in the same place. It is the most expensive service on this list, but includes everything you need to run your basic business administration without lifting a finger. Is Your Bank Data Safe on Social Media? What Is 1099-MISC Accounting Software?